The March "St. Patrick's Day" tea box included a unique pot of gold: gold tea! 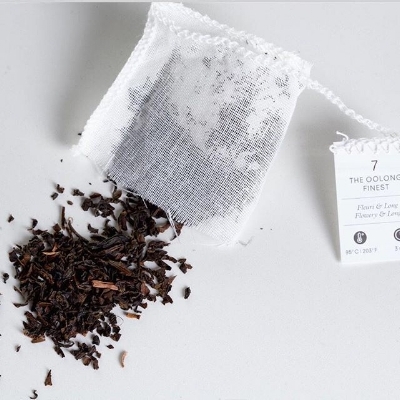 Kumari Gold is a special black tea from Nepal Tea LLC, a social business venture that imports tea directly from its own tea estate while providing farmers with a sustainable income and free housing. Nishchal Banskota shares more about his company, including its background, tea, and farmer first approach. How did Nepal Tea get started? My father started a tea estate in 1984, which was Nepal’s First Certified Organic Tea Garden. The factory works on a co-operative model, which means the farmers are the owners themselves too. Eventually the tea was exported globally. Fast forward three decades, and here I am graduating with a liberal arts degree from New Hampshire. I soon realized that the Nepali tea we get in the US were brought through Germany, who bought their teas from middlemen. The supply chain was inefficient. The farmers have no choice but to agree to the price demands of these middlemen – if they pulled out, the estate and the farmers would have no revenue at all. Secondly, most teas from Nepal get mixed with Darjeeling teas due to their similarity, and we often lose our identity in the process. I started Nepal Tea with the vision of getting fair prices to both consumers and farmers, creating a simple and lean supply chain and creating an identity for the teas from Nepal. Tell us more about tea from Nepal. What is special about tea from that part of the world? Furthermore, we and many other tea farmers are experimenting with various different kinds of tea as well and in the coming days you might even expect some sophisticated oolongs and pu-erh teas. Can you tell us more about the ingredients you use and your commitment to avoiding artificial flavors? We mostly specialize in orthodox teas produced through Camillia Sinensis and are specifically hand-plucked for this purpose. For our blends, we use organic spices grown in our garden itself such as cinnamon, cardamom, ginger turmeric, rose petals, lemongrass and so on. We're not experts on herbal teas but we do know which tea blends well with the organic spices that we grow and hence have been very successful with our blends such as Buddha's Blend (White Tea base + Spices) and Mystique Melange (Green Tea base + Spices). We have not in the past and will not in the future use any form of artificial chemicals and or flavors to make our teas. Our commitment to being organic since inception can be traced back to all of the certifying bodies. Nepal Tea works hard to be socially responsible! Can you tell us more about those initiatives? 1) Free Housing and Daily Necessities to the full-time farmers. 2) Educational scholarship to all of the children of our full-time farmers. More than 2300 children have received education till date and have increased the number by 96 students last year. You can read more about the project and sponsor a child here. 3) Cow-Bank Project: We distribute cows to our farmers and they earn extra income from them by selling dairy products from them. We only have one condition that the first calf it gives birth to is returned to the factory itself; not for our purpose but to distribute it to other farmers. We started with 36 cows and now we have more than 176 cows in total. You can read more about the project and even donate a cow to a farmer here. 4) We have many other projects in the pipeline such as thrift shop, rice mill and so on that will impact the farmers in a sustainable way. You can discuss them directly with me. Also, if you have any projects that you would like to initiate at our factory, please contact me. Which tea from Nepal Tea is your favorite? My favorite tea is Kumari Gold. Not only does the taste take me back directly to the factory in Nepal but the name itself is very dear to my heart. I named the tea after my mother. Her middle name is Kumari and it means "Living Goddess" in Nepali. She was the first person who believed in the vision of my father in creating this organic tea garden and she planted the first tea bush in her backyard. The same garden has extended to hundreds of acres today and has provided employment to more than 600 farmers and educated more than 2300 children. Indeed, to me and all the farmers and their children she is a true living goddess. Thanks Nishchal! You can learn more and tea shop at nepalteallc.com. To make sure you don't miss a tea box, be sure to subscribe or buy a gift today.